Kayakin' Photography: 1. It takes a steady hand. 2. It ain't easy!!! 3. They do stare, eagles see everything & this one knew he was being watching. I am not sure he like it either. 4. You have to be very determined. 5. 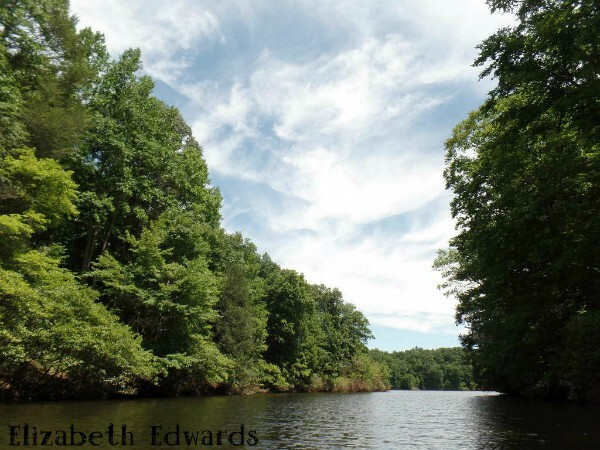 Are you cut out for kayakin' photography? I'll be linking up to "Eileen's, Saturday's Critters". Come join us. seeing these birds is an emotional event and I could never be a kayak photographer :-) I love how they observe their surroundings without budging but an eye. I don't know if they are still endangered, but I think so. When my parents were living in Florida about ten years ago, there was an eagle nest on a tall trree in the field behind their home. If I remember correctly, that eagle habitat made it impossible for developers to build any new houses back there. "On August 9, 2007, the bald eagle was removed from the federal list of threatened and endangered species. After nearly disappearing from most of the United States decades ago, the bald eagle is now flourishing across the nation and no longer needs the protection of the Endangered Species Act." 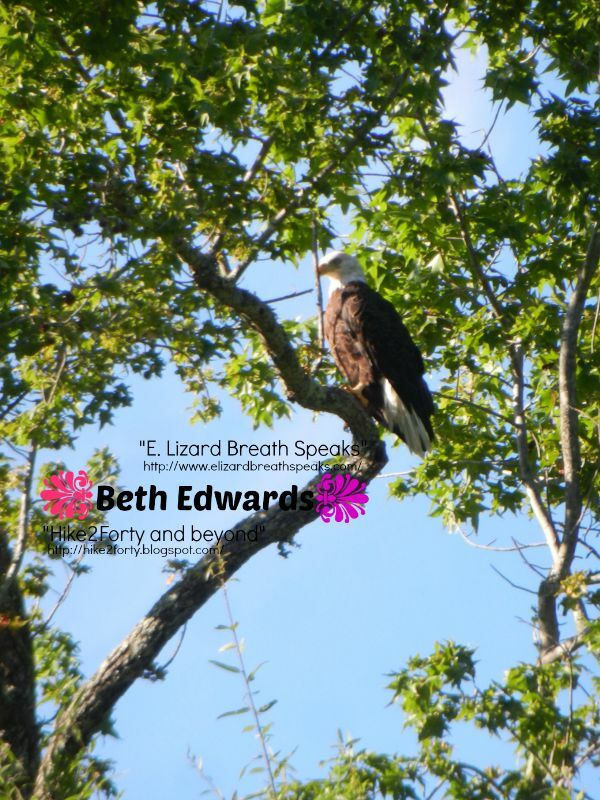 Hello Beth, awesome sighting and photos of the Eagle. I heard they were making a great come back. I see them often in my neighborhood and around our lake. Happy Monday, enjoy your new week! Such an awesome and elegant bird to see . I think that's where the expression "eagle eye" comes from !! I think they are making a come back..Awesome birds..Good pics..
Every Eagle sighting is special to me.I think they are just the most majestic birds around. Wow! Great pics of this majestic bird! I don't know if they are endangered, but I get so excited when I do see one...or more than one. We did not used to see any here, but now I see one every now and then. Seeing an eagle is such a highlight and your photos are amazing. Thank you for sharing your great talent. How awesome! - You got some great shots. It is exciting to see them in the wild. In fact I just saw one this past weekend and actually got my very first photo of one (I'll share it later this week). Congrats on your eagle sightings. They are amazing birds. I get quite excited when I see eagles and more so if I can get a shot of them if they are not too far away. Great shots! The odd thing is that there is a magnificent nesting pair of eagles out side the window of my city place in the park below. I have been watching them soar for several years now. I only just spotted one at my country place last week for the first time. how exciting! when we lived in missouri there was an area by the river right down the road from our house...you could park there and count a bunch of eagles in the trees, every year! i think i have only seen 1 since moving away and i can't remember if it was here or in georgia! 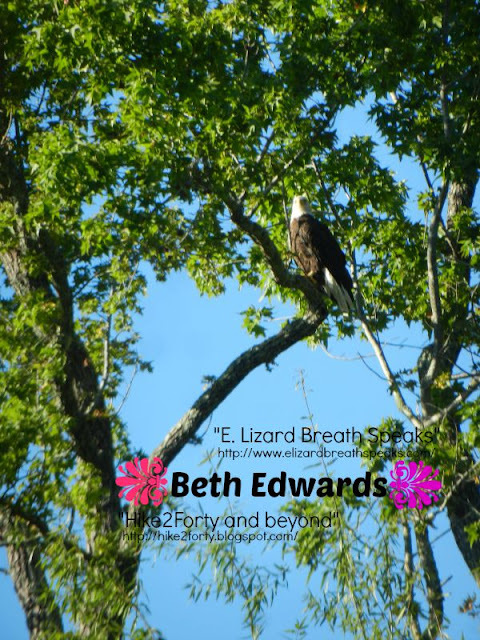 Amazing photos of the eagle Beth. Yes, it would be tricky keeping the kayak still while trying to take a photo. Eagles are not endangered here in Canada now but they are a protected species. Beautiful creatures! What an amazing bird, too! What an awesome bird...I love them, too. And great captures, Beth! I see more of them around our area and I think they are indeed making a comeback. Yay! Take care, my friend, and have a good week! 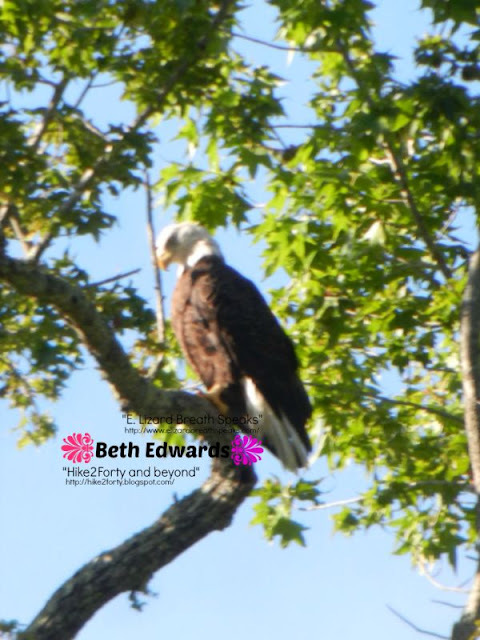 Hi Beth, cool Eagles photos. 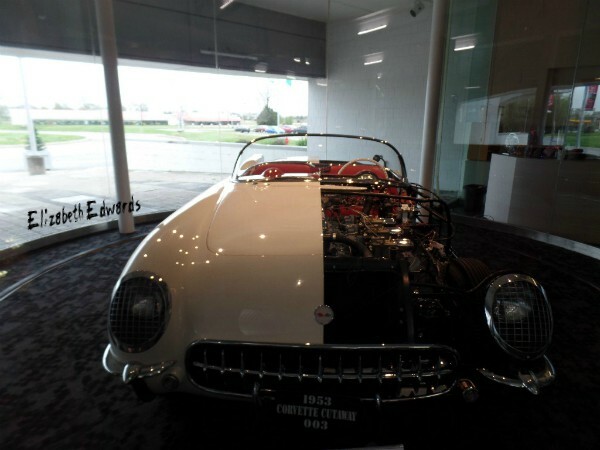 Thanks for linking up and sharing your post!